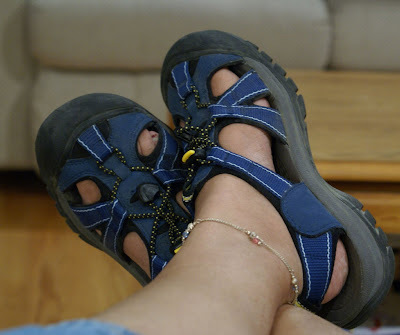 It's Feet Up time for me! Finally!! Yup, we're on vacation. Currently in Maine. 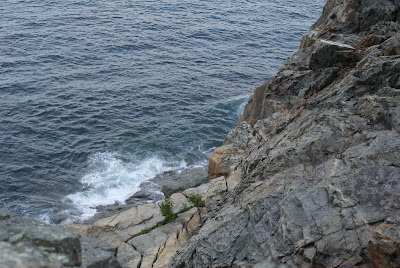 We hiked along the Otter Cliffs of Acadia National Park. 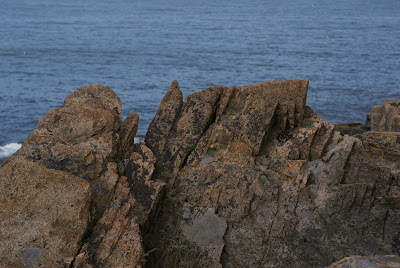 Marvelled at the vistas of Maine's small islands and smashing shores. 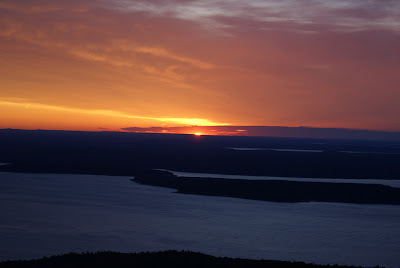 And this morning at 4:30 a.m., we drove like those possessed to be one of the first on the East Coast of the United States to view the sunrise from Cadillac Mountain, the tallest mountain along the eastern coast. They say that sun's rays first hit Cadillac mountain on the East Coast from October to March. It's almost July. But who cares? It was spectacular! I will be on a blogging break as we are on vacation. I may pop back in if I have had a chance to upload more pictures either here or ad nauseam on my Flickr account. Till then, enjoy yourselves! I will be! have a great time, m.
maine is on my list now. Have a wonderful time Manisha. Enjoy your vacation, girl! Loved all the snaps. Ooooh, fun! Eat lots of seafood. Are those your feet, or someone else's...did you ask first? Anita- where you picking up this here improper English talk, eh? Humm now I know you are no.5 (the feet) ;). Chill girl you have worked hard I guess for it. Have fun. I was there last year (but you already know that). We went to Cadillac at Sunset and it was just as gorgeous. And thankfully didn't have to be up at 4am either. :-) Looking forward to your pictures of NS. The feet-up picture is very cool. Reminds me of the single anklet (I dig those too) that I lost while I was in Kerala for my friend's wedding.. It was made of sterling silver and I had got it in Pune. It was the coolest looking one and I had got tons of compliments on it... It must have probably slipped off when I was in the mad rush of getting ready for the wedding. :) What do I say?